Today we are recognizing A Star Is Born, as well as writer/director/star Bradley Cooper, plus stars Sam Elliott and Lady Gaga. 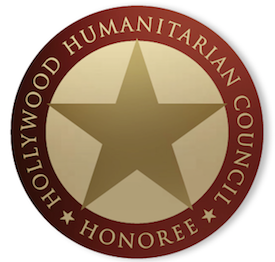 Our Hollywood Film Tributes recognize films and talent for their excellence in the art of filmmaking. I’ll admit to rolling my eyes initially when it was announced that Bradley Cooper would be making his directorial debut by helming the latest incarnation of A Star Is Born. Initially pegged to just star when Clint Eastwood wanted to make it, this seemed like an odd choice. Frankly, I’d been more eager to see him adapted Honeymoon with Harry, a book he’d been looking to make into his debut feature previously. However, this is what he chose, opting to star alongside Lady Gaga. Up until the buzz started, I’d been dismissive. The Trailer turned me around, but it wasn’t until last night that I finally understood how wrong I was. Shame on me. This week, it opens and you’ll see why I’m kicking myself for doubting it. This is the best film of the year. The movie is of course a remake. In fact, it’s the fourth version of the story. 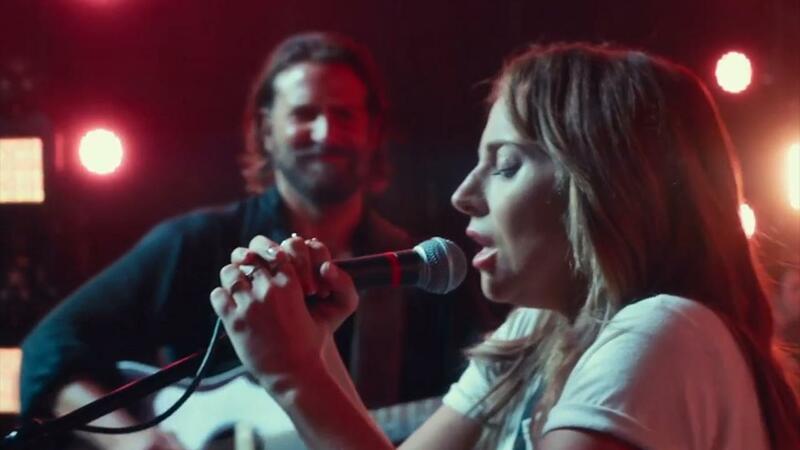 Warner Brothers describes this new take on it as such: “Seasoned musician Jackson Maine (Bradley Cooper) discovers-and falls in love with-struggling artist Ally (Gaga). She has just about given up on her dream to make it big as a singer – until Jack coaxes her into the spotlight. But even as Ally’s career takes off, the personal side of their relationship is breaking down, as Jack fights an ongoing battle with his own internal demons.” Jackson is slowly heading into the twilight of his career when he meets Ally, an immediate love fueling him even more than the alcohol and drugs. Ally loves Jackson, and vice versa, but she slowly comes to see his demons, something his brother/manager Bobby (Sam Elliott) has been trying to get him to acknowledge. In broad strokes, this follows the same path as previous versions of the film, but with a perfect sense of pacing. Cooper directs and co-writes with Will Fetters and Eric Roth, in addition to starring opposite Gaga. Besides Elliott, the supporting cast includes Dave Chappelle, Andrew Dice Clay, Rafi Gavron, Michael Harney, D.J. ‘Shangela’ Pierce, Anthony Ramos, and more. Matthew Libatique provides the outstanding cinematography, while Cooper and Gaga also co-wrote some of the original songs. This is a stunning achievement by Cooper and company. Cooper, Elliott, and Gaga give three of the best performances of the year, with each deserving heavy Academy Award consideration. Cooper and Gaga also will be in the race to take home an Oscar for writing songs (Gaga is the frontrunner for Shallow), while the former’s direction is one of the most impressive debuts ever. It’s gem from start to finish. The way he looks at her will make you swoon, the songs are brilliant, and the filmmaking is tremendous. This is, perhaps to your surprise, a masterpiece, and the best version fo A Star Is Born yet. The Academy is going to fall in love with A Star Is Born, mark my words. Right now, it’s the frontrunner in a number of categories, as well as to lead the overall nomination totals. Warner Brothers should have hearty campaigns in Best Picture, Best Director (for Cooper), Best Actor (also for Cooper), Best Actress (for Gaga), Best Supporting Actor (for Elliott), Best Adapted Screenplay (for Cooper, Fetters, and Roth), Best Production Design, Best Cinematography, Best Costume Design, Best Film Editing, Best Makeup & Hairstyling, Best Sound Editing, Best Sound Mixing, and Best Original Song (times two). A dozen nominations would not be out of the question at all. Hell, right now, it’s the odds on favorite to win Best Picture.